Kia India is today holding a media event in New Delhi ahead of its Auto Expo 2018 debut tomorrow. The South Korean automaker has already laid out a roadmap to enter the Indian market and has been inviting dealer partners from various cities across the nation since August this year. The showstopper at the event being held today has to be the red-coloured Stinger you see in the image below. 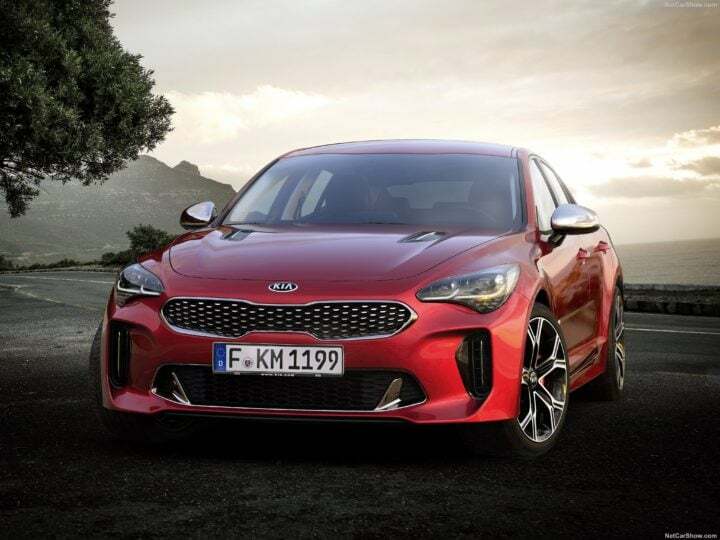 Yes, the Kia Stinger India debut has finally taken place and this hot set of wheels will be present at the upcoming motor show. However, from the looks of it, the Kia Stinger India launch might not happen anytime soon. Kia has already set up a plant in Andhra Pradesh and the work on the same has already begun. The first car to roll out of this manufacturing facility is expected during the second half of 2019. With a total investment of USD 1.1 Billion Kia definitely shows promising attraction towards the Indian market. The company’s plant, once functional, will hold an annual production capacity of 3,00,000 vehicles. 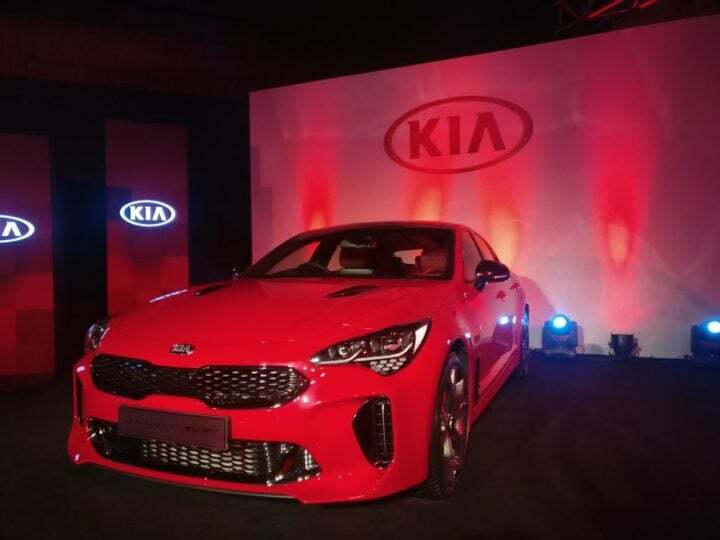 Kia Stinger India Launch Not in the Offing? The four-door sports sedan, in it’s latest iteration, was introduced earlier this year and enthusiasts appreciated the sports sedan globally. The 2018 Kia Stinger derives it power from a 3.3-litre V6 petrol churning out 365 hp with a claimed 0-100kmph time of 4.7 seconds. Unfortunately, Kia officials have clearly denied the launch of the Stinger in India. The officials claim that the sports sedan will have to be brought in as a completely built unit (CBU) and would raise the price of the sedan upwards of INR 70 lakh. In the international market, the Stinger competes with the likes of BMW 3 series and Jaguar XE ranges of both starts under INR 40 lakh. While the exact model details and the time set for launch is not clear yet, our sources claim that the company will start its Indian operation with the introduction of an SUV and a sedan. The segment or pricing for these is not clear either. A third product is slated for launch by 2020 but the details of the product are scarce. Meanwhile, Kia had launched the dealer roadshow back in August this year. In the next one month, Kia met up with prospective dealer partners showcasing the company’s potential in the nation and also judging the response they receive. On display, at these events, were several cars from Kia’s stable namely the Picanto, Rio, Cerato, Optima, Sportage. Also on display were Kia Nero hybrid SUV and the larger Sorento SUV at the dealership meet.